Seanchaithe were servants to the chiefs of the tribe and kept track of important information for their clan. The word seanchaí, which was spelled seanchaidhe (plural seanchaidhthe) before the Irish-language spelling reform of 1948, means a bearer of “old lore” (seanchas). In the ancient Celtic culture, the history and laws of the people were not written down but memorized in long lyric poems which were recited by bards (filí), in a tradition echoed by the seanchaithe. Seanchaithe were servants to the chiefs of the tribe and kept track of important information for their clan.They were very well respected in their clan. The seanchaithe made use of a range of storytelling conventions, styles of speech and gestures that were peculiar to the Irish folk tradition and characterized them as practitioners of their art. Although tales from literary sources found their way into the repertoires of the seanchaithe,in 2006 a traditional characteristic of their art was the way in which a large corpus of tales was passed from one practitioner to another without ever being written down. Because of their role as custodians of an indigenous oral tradition, the seanchaithe are widely acknowledged to have inherited – although informally – the function of the filí of pre-Christian Ireland. Some seanchaithe, however were not part of a clan. Some were itinerants, traveling from one community to another offering their skills in exchange for food and temporary shelter. Others were members of a settled community and might be termed “village storytellers” who told their stories and tales at ceremonies and community events, similar to the servant Seanchaithe. The distinctive role and craft of the seanchaí is particularly associated with the Gaeltacht (the Irish-speaking areas of Ireland), although storytellers recognizable as seanchaithe were also to be found in rural areas throughout English-speaking Ireland. In their storytelling, some displayed archaic Hiberno-English idioms and vocabulary distinct from the style of ordinary conversation. Members of the Celtic Revival such as Padraic Colum took a great interest in the art of the seanchaí, and through them the stories that they told were written down, published, and distributed to a global audience. At events such as mummers’ festival in New Inn, County Galway, and the All-Ireland Fleadh Ceoil storytellers who preserve the stories and oratory style of the seanchaithe continue to display their art and compete for awards. 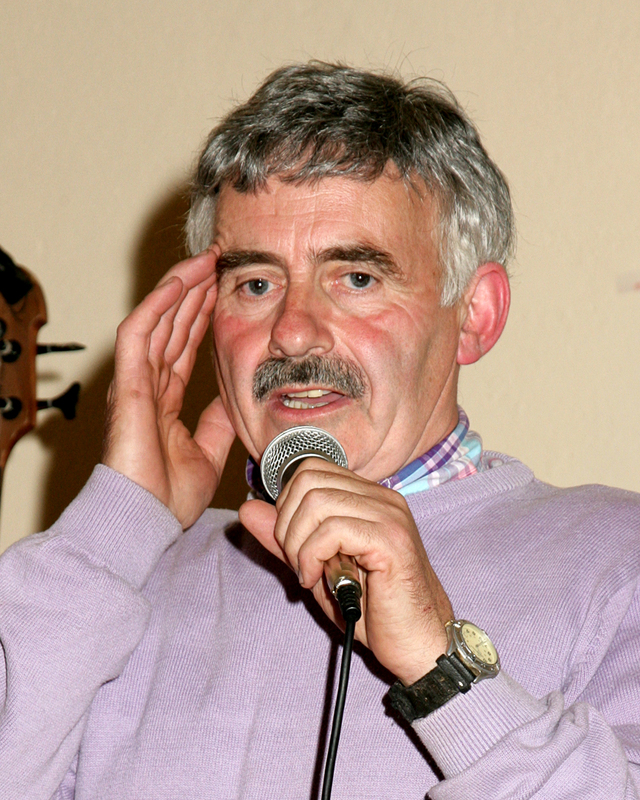 In Skehana we have our very own Seanchaí, the very popular and excelent Pat Ward from Cuddoo, at the end of our parish. Eddie Lenihan is one notable modern-day seanchaí, based in County Clare. Actor Eamon Kelly was well known for his portrayals of the traditional seanachaí, and ran several series of one-man shows in Dublin’s Abbey Theatre. This page was added on 17/02/2015.